“We have been dreaming, for about a decade, of the ability to fax life forms,” says Juan Enriquez, an executive with Excel Ventures, a venture capital firm, who imagines a new Industrial Revolution with the “digital-biological converter” as the cotton gin in a new report by MIT's Technology Review. It could help future Martian colonists by giving them access to the vaccines, antibiotics or personalized drugs they needed. 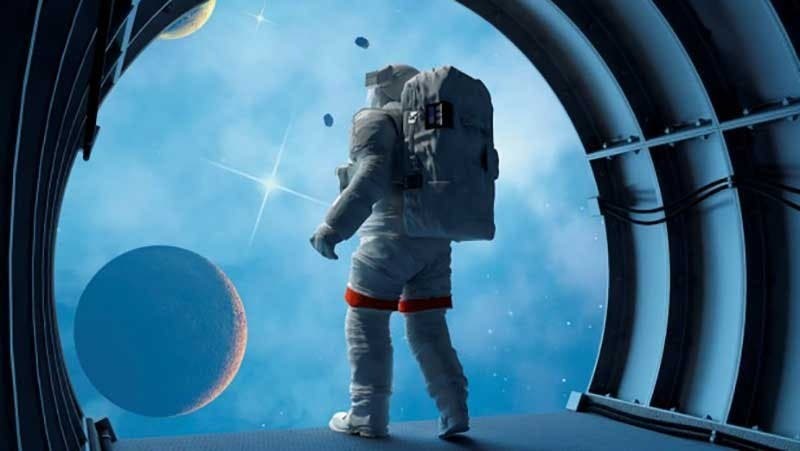 And should DNA-based life ever be found there, a digital version could be transmitted back to Earth, where scientists could recreate the extraterrestrial organism using their own life-printing box. The current prototype, supported by DARPA, is intended to be miniaturized and sold by Synthetic Genomics for use in hospitals, workplaces and homes. The current prototype can produce only DNA, not proteins or living cells, but even that could be enough to make the device practical. His researchers believe their current prototype is already capable of producing DNA precisely enough that it could be used as a vaccine. Venter also sees a DNA-printing version of his device helping with more regular medical care. It could print out the DNA that encodes the hormone insulin so important to diabetics he says. Adding that DNA to a protein synthesis kit, a tool that is commonplace in research labs around the world, would produce the finished treatment for injection. Venter also has the antibiotics crisis in his sights. Looking further ahead, Venter intends DBCs to print living cells, using an automated and improved version of the process behind his 2010 breakthrough synthetic cell. Work on that is currently underway, with the focus on creating what he calls the “universal recipient cell,” a kind of biological blank slate able to receive any synthetic genome and come to life. Venter’s scientists are also working on a machine called the “digitized life sending unit” that would robotically sequence a genome from a sample and generate a digital DNA file that is then sent to a DBC to recreate the original life in a new location. The first biological teleporter sits in a lab on the lower level of the San Diego building that houses Synthetic Genomics Inc. (SGI), looking something like a super-sized equipment cart. The device is actually conglomeration of small machines and lab robots, linked to each other to form one big machine. But this one can do something unprecedented: it can use transmitted digital code to print viruses.